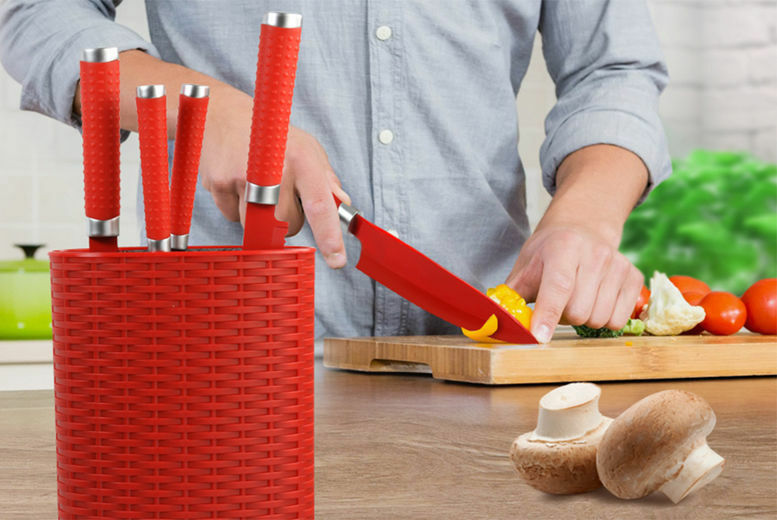 Chop away with this fantastic knife block! Finished with durable non-stick coating for longevity. Choose from black or red! And five blades to use. Silicon handles for good grip and feel. Plastic universal knife block with removable washable fibre inserts.